Jonathan (or “Jon,” as he goes by off air) grew up in South Hutchinson. He previously worked as a staff announcer and reporter for almost three years at 88.1 WVPE in Elkhart, Indiana, where some of his more notable coverage included campaign stops of Bernie Sanders, Ted Cruz, and Donald Trump in the 2016 primary election, as well as President Obama’s visit to Elkhart. Jonathan honed his announcing skills as host of All Things Considered a few times a week, filling in on other shifts when necessary, and operating the board during breaking news and live special coverage. 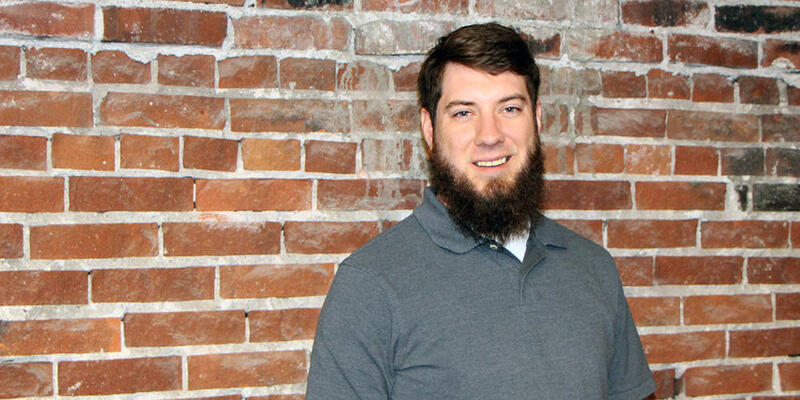 Jonathan majored in Communication Arts at Bethel College in North Newton and had a weekly radio show on 88.1 KBCU, where he played music recorded in live settings, from rock to bluegrass. He also served as a play-by-play announcer for home soccer games. When not working hard at the station, Jonathan enjoys spending time with his wife and their nieces and nephews, smoking meat, homebrewing beer and cider, acquiring and listening to vinyl records, playing disc golf, and following mediocre sports teams, like the Minnesota Twins and the German soccer club 1899 Hoffenheim. 5K races are increasing in popularity throughout the country. Saturday saw a total of 5 races in Wichita. Jonathan Huber went through the blocked off streets in downtown Wichita for this Audio Postcard of KMUW’s inaugural 5K. 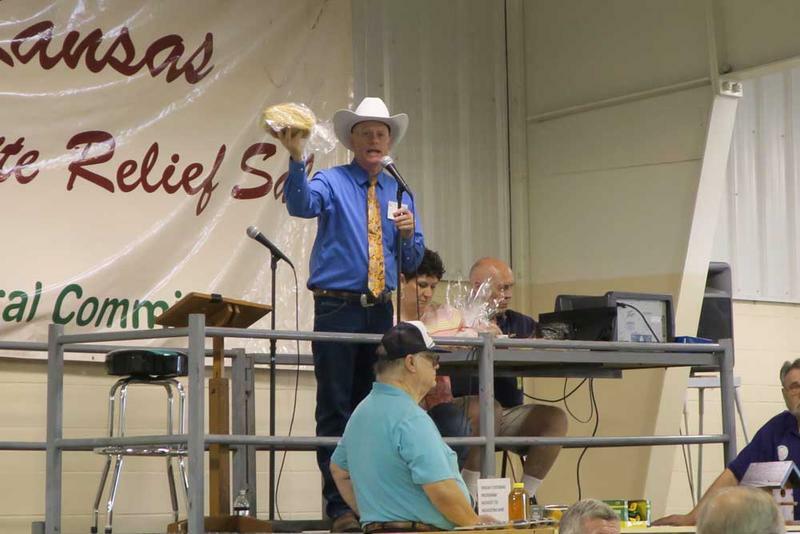 The Kansas Mennonite Relief Sale recently celebrated its 50th annual gathering in Hutchinson. All proceeds go to provide aid to places that have been ravaged by war and conflict. The money is raised through food sales - and auctions of quilts, automobiles, and other merchandise. KMUW’s Jonathan Huber got his annual fill of pie and filed this Audio Postcard. The sale raised over $500,000 for MCC. The Wichita Jazz Festival was founded in 1972. 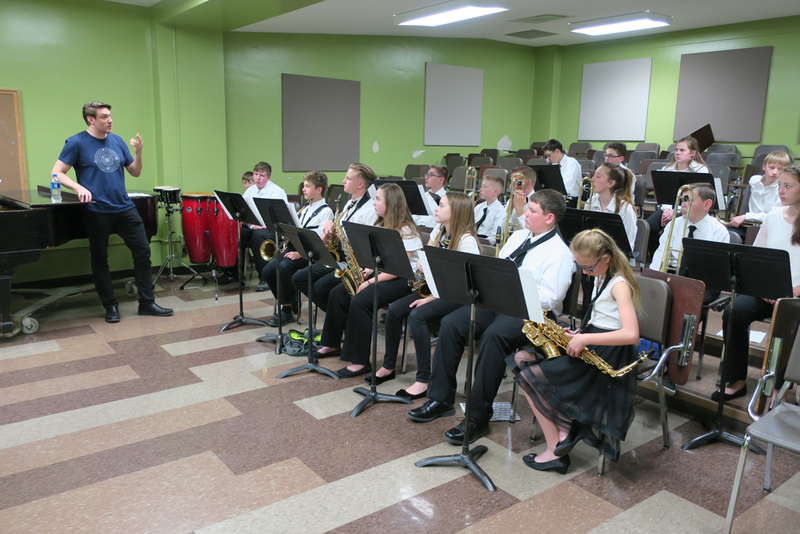 Headlining artists typically take part in clinics and workshops with regional middle and high school jazz bands. KMUW’s Jonathan Huber sat in on a workshop that New York bassist Ben Allison led with the McPherson Middle School Jazz Band, where he explained what makes a tune swing, as we hear in this Audio Postcard. 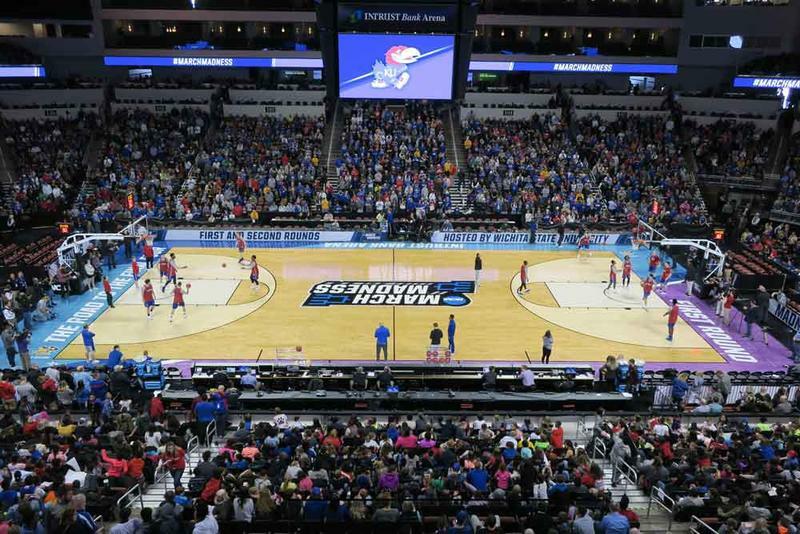 Wichita was host to the NCAA tournament men's basketball games for the first time in almost 25 years. Teams and fans from all corners of the country converged on Intrust Bank Arena for first and second round games. KMUW's Jonathan Huber tips off this Audio Postcard, where Saint Patrick’s Day revelry collides with the second round games between Kansas and Seton Hall, and Michigan and Houston. The Sedgwick County Zoo has sheep from various regions of the world, but they all share at least one thing in common: They get warm as temperatures climb into spring. 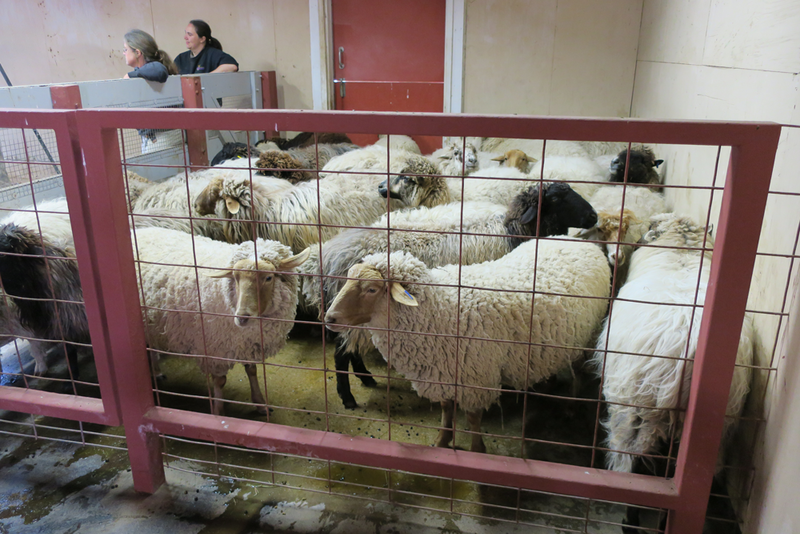 On one March Saturday, the zoo shears the sheep’s wool, while also providing necessary veterinarian examinations and vaccinations. The zoo makes a day of it, and demonstrates what happens to the wool after it’s shorn. It must be washed and dried, cleaned, brushed, and spun. KMUW’s Jonathan Huber visits the noisy spectacle in this Audio Postcard. Six hundred pounds of fish, 200 pounds of breading, and 60 gallons of potato soup. 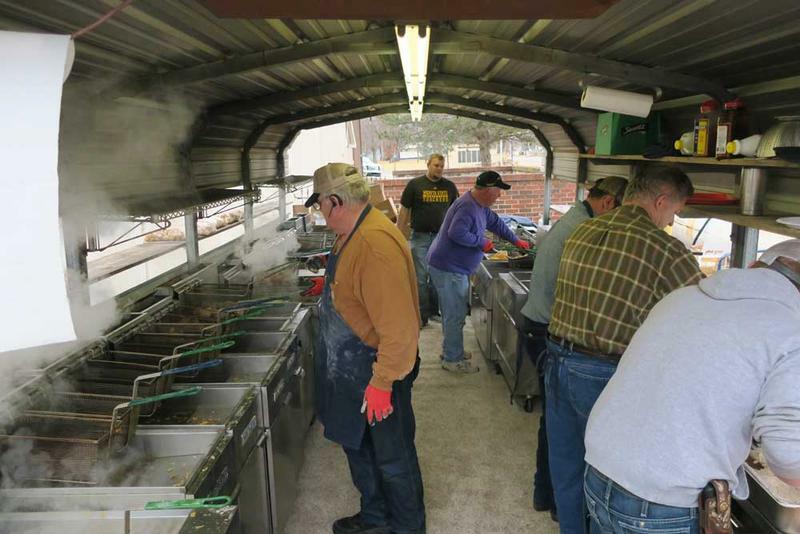 That’s what the people at the Colwich-St. Mark’s Knights of Columbus prepare for each of their three Friday fish fries during Lent. KMUW’s Jonathan Huber got in on the fun as they cooked for nearly 2000 hungry people. Kansas was the 34th state admitted to the Union on January 29th, 1861. 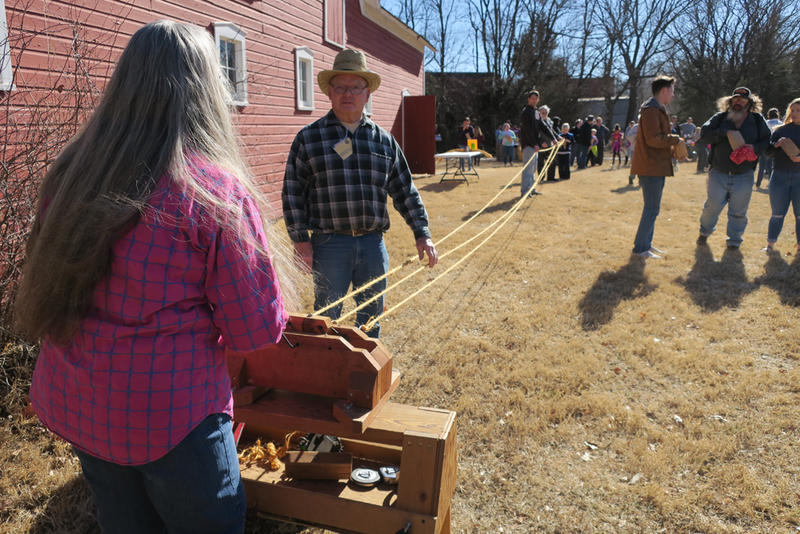 The Kauffman Museum, in North Newton, annually holds a Kansas Day celebration. KMUW’s Jonathan Huber paid a visit on Saturday and found demonstrations of statehood-era equipment and methods. Bandanas were tied into baskets, twine turned into rope, and a machine that removed kernels of corn off of the cob, and, of course, carriage rides. What goes up, must come down. That goes for the thermometer, too. Kansans saw above average temperatures last week and KMUW’s Jonathan Huber found people taking advantage of the good weather before winter returned with an icy vengeance in this Audio Postcard. 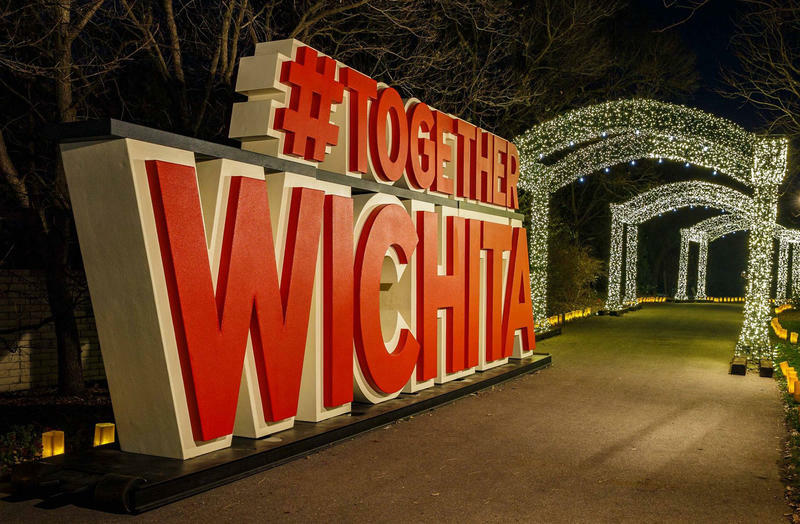 Each year at Botanica, from Thanksgiving through the New Year, thousands of people visit the garden for its Illuminations event to see more than a million holiday lights. Displays are set up throughout the park, Santa makes appearances, and visitors munch on popcorn and stay warm with hot cocoa. 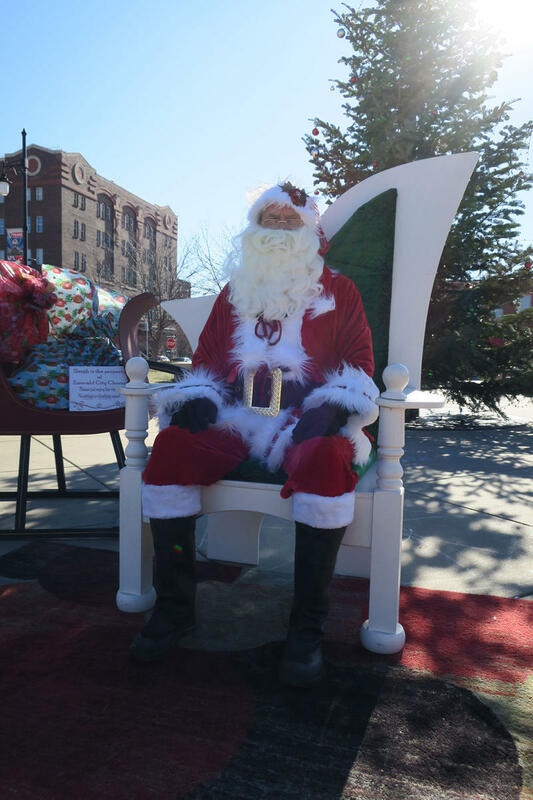 December Saturdays in Old Town Square have been full of festive holiday spirit. Children could tell Santa their Christmas wishes, families went on horse-drawn carriage rides, and--last Saturday--a ukulele choir performed Christmas carols. KMUW’s Jonathan Huber files this audio postcard.